Crestview Chrysler is known for providing only the highest level of customer service in everything that we do. That is why drivers in the Regina area trust our service center for quick and convenient tire changes. Driving with worn out tires is not only inefficient, but potentially dangerous, as well. When your tires are in need of a change, stop by Crestview Chrysler and speak with our experts about the best tires for your vehicle. Crestview Chrysler is conveniently located at 601 Albert St. in Regina, right at the corner of Albert Street and 1st Avenue. As part of the Knight Automotive Group, we have been proudly serving Saskatchewan for many years. 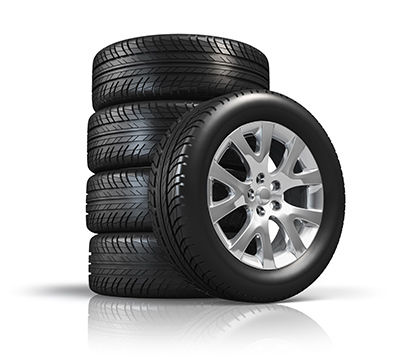 Every time you visit our dealership, you are sure to find a vast selection of tires. This allows us to find exactly what your vehicle needs right away. Here are just a few of the many reasons why Crestview Chrysler stands out among other dealers. Affordable Choices – New tires should not cost a fortune, and they don’t at Crestview Chrysler. No matter what kind of tires your vehicle requires, we offer some of the most competitive prices available. Immediate Availability – Bringing your vehicle in for service can be a hassle, and we want to ease some of that stress. Simply call (866) 681-6469 or complete our online scheduling form to make an appointment today. We will have your vehicle ready and operating at peak performance in no time. Extensive Inventory – At Crestview Chrysler, we carry numerous top tire brands in a range of different sizes. In addition, if you need engine service or a quick oil change, be assured that our auto pros use certified parts and products to maintain the integrity of your vehicle. Skilled Technicians – Our mechanics have both the training an experience to deliver a quick tire change, as well as other quality automotive service. Regardless of what your vehicle needs, the technicians at our service center have you covered. If you’re a driver in the Regina area, be sure to consider Crestview Chrysler for new tires, as well as all of your automotive needs. Our service center is open Monday through Friday from 7:30 a.m. to 5:30 p.m. for your convenience. Stop by the dealership today for more information. We look forward to meeting you soon!